Just held my Talk about Enterprise Development with Apache Karaf at ApacheCon 2014 in Budapest. Besides me going there, it is the first time I’m going to give a talk there. Of course it’s about Apache Karaf. It will cover how to do enterprise applications on Karaf. Main focus will be on architecture and where’s the difference to a enterprise application on a application server. A special thanks goes to my soon to be new employer CodeCentric for sponsoring me to attend this event. 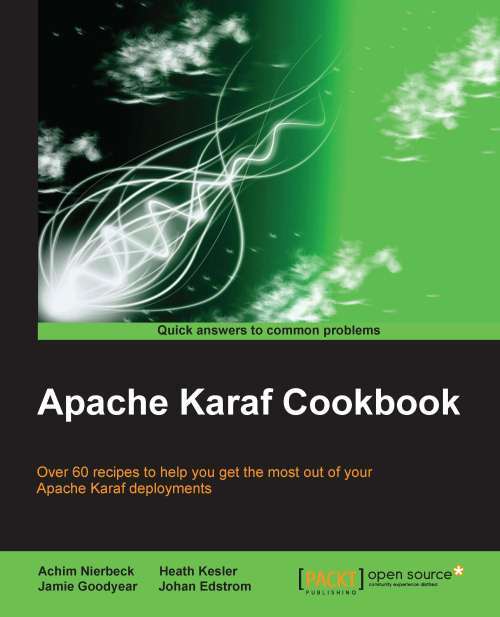 I’m pleased to announce the Apache Karaf Cookbook is published. Shipment of pre-ordered copies should start soon. I’m so excited, we are finally DONE! It’s been a great experience to write a book. I almost forgot to thank all the great reviewers for the great work in supporting us with their reviews.